A SEVEN year odyssey of litigation and acrimony regarding the mineral rights of the Sishen Iron Ore mine was brought to a close today after the South African government awarded 100% of the rights to Sishen Iron Ore Company (SIOC), a subsidiary of Kumba Iron Ore (Kumba). Kumba announced that the Department of Mineral Resources (DMR) had granted the residual 21.4% undivided share of the mining right for the Northern Cape mine to SIOC following an internal appeal. The award, however, comes with conditions that include SIOC honouring a previously agreed export parity price supply agreement with ArcelorMittal South Africa (AMSA), the Johannesburg-listed steelmaker. SIOC was also required to support staff development, continue with research and development in the Northern Cape, and build on its preferential procurement programme in the region. “The cost of delivering these conditions has been calculated at about R100m,” said Nikki Wetzlar, a spokeswoman for Kumba. In terms of AMSA’s iron ore supply agreement, the steelmaker will receive certain discounts calculated in relation to an international index price for iron ore. For instance, if the index price of iron ore is between $70 and $80 per tonne, AMSA will get a 5% discount to the export parity price of the mineral. Interestingly, at the current spot price of iron ore, quoted by Goldman Sachs at about $57.20/t, AMSA would not be entitled to any discount from SIOC; in other words, AMSA would pay the full export parity price. The fight over who owned the residual 21.4% stake in SIOC erupted in spectacular fashion in 2009 when Imperial Crown Trading (ICT), a company behind which the Gupta family stood, claimed ownership. This was after AMSA had allegedly failed to apply to convert its old order mining right into a new order mining right when the Minerals and Petroleum Resources Development Act was implemented in May 2005. However, the award by the DMR of the mineral rights to ICT was subsequently described as fraudulent and challenged in court, triggering a legal battle with broader implications which were potentially highly negative for South Africa’s investment image. Kumba won its actions in the High and Supreme courts but the DMR/ICT took the matter to the Supreme Court of Appeal and, eventually, the Constitutional Court both of which also ruled in favour of Kumba. Kumba said today that as a result of the grant of the residual 21.4% undivided share, SIOC “… is now the sole and exclusive holder of the right to mine iron ore and quartzite at the Sishen mine. This residual mining right will be incorporated into the 78.6% Sishen mining right that SIOC successfully converted in 2009,” it said. “As our track record shows clearly, Kumba is fully committed to transformation and will continue contributing towards the achievement of South Africa’s developmental objectives,” said Themba Mkhwanazi, CEO of Kumba. “We appreciate the work of the DMR in bringing this matter to a successful conclusion,” he added. The conclusion of this long-standing matter also helps, in some degree, to tidy up legacy issues around Kumba ahead of the possible sale of Anglo American’s 70% stake in the business. 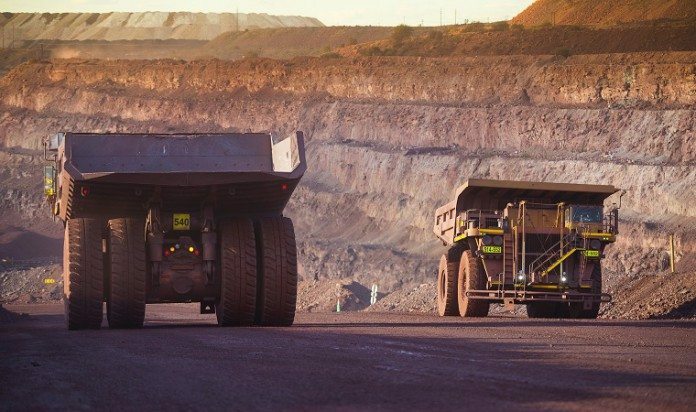 Following a strategic review, Anglo has deemed bulk mining, such as coal and iron ore, to be no longer core to its activities and is seeking to sell these assets – although investors have asked whether this is the right strategy coming amid an apparent recovery in coal and iron ore prices. Fantastic news. Is this the start of the recovery of the mining industry in SA?